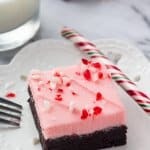 Peppermint Double Chocolate Cookies are super fudgy and infused with peppermint. Then dipped in chocolate and sprinkled with candy canes for the ultimate holiday cookie! Hello there friends! Have you started your holiday baking??? I’ve mainly focused on holiday eating taste testing. AKA trying out recipes, and devouring them. The goal was to create a succinct list of what to make for Christmas gifts, and fill my freezer with frozen cookie dough to bake fresh on Christmas Eve. However my baking list is only growing longer…. and we’ve eaten all the cookies so there’s no dough left to freeze…. 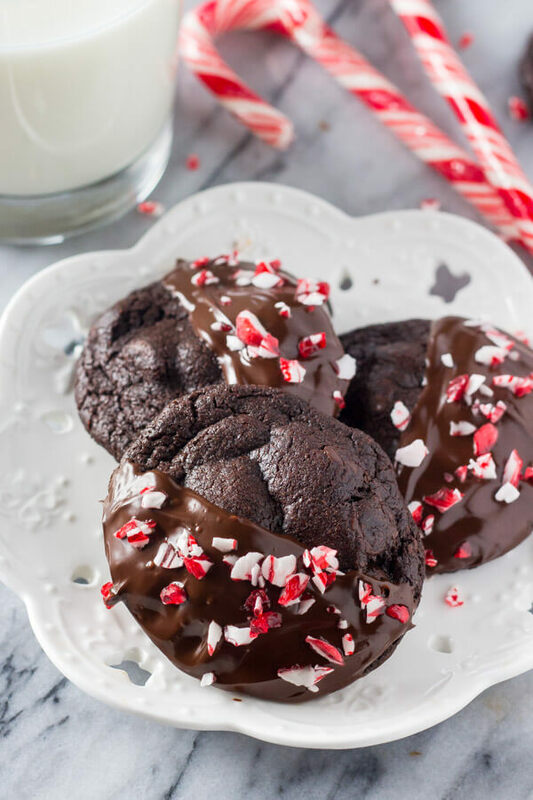 Today I’m sharing with you my favoirte recipe so far this Christmas: Peppermint Double Chocolate Cookies. 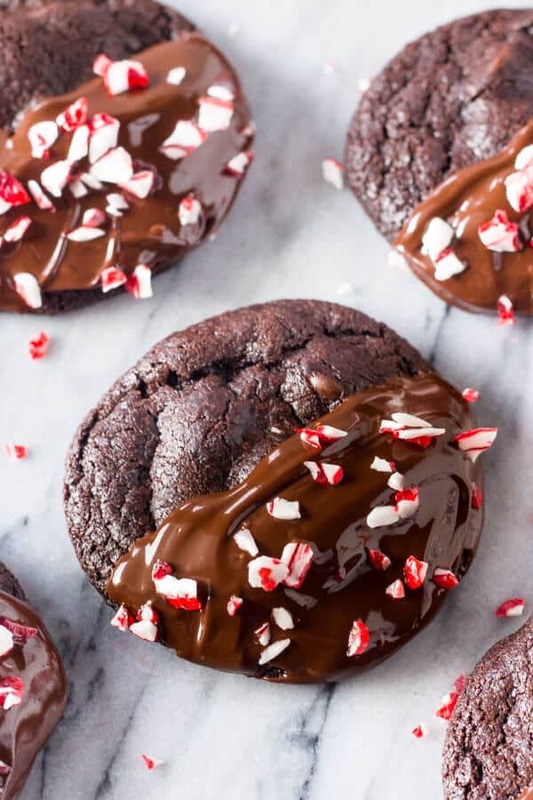 In ALL my taste tests, these Peppermint Double Chocolate Cookies have been everyone’s favorite and they look so festive without requiring intricate decorating skills. They’re super fudgy cookies that taste almost like a brownie. 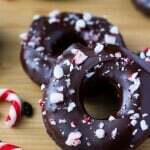 Then they’re infused with peppermint, dipped in chocolate & showered with crushed candy canes. The cookies themselves are super chewy and soft, then the candy canes add a delicious crunch to the texture. 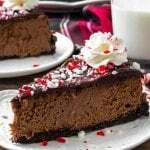 The fudgy flavor comes from using butter and cocoa powder, then adding chocolate chips to the batter. I like to use dutch process cocoa powder, such as Hershey’s Special Dark, for a deeper chocolate taste. But natural cocoa powder works too. They’re soft and chewy, filled with chocolate, and have the perfect hint of peppermint. There’s lots of tips to help you make the perfect cookies over on Oh Sweet Basil, along with the full recipe. Make sure to head on over to get the recipe! Take Me to The Cookies!!!! Thank you SO MICH for sharing!